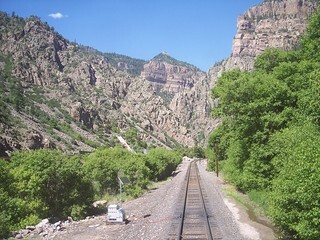 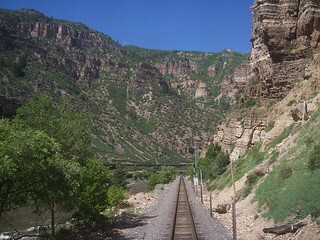 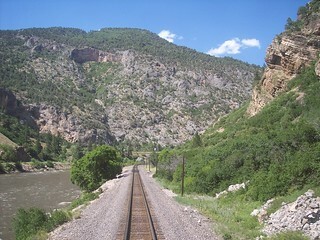 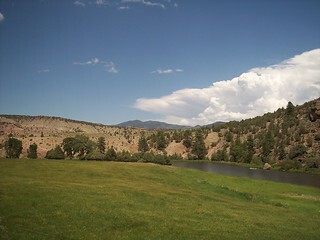 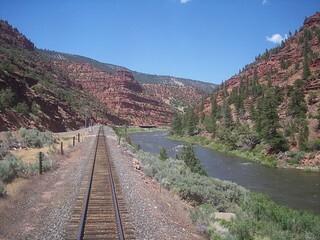 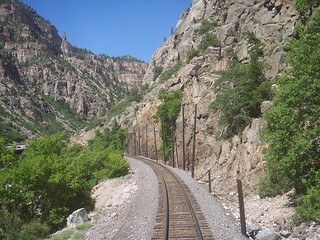 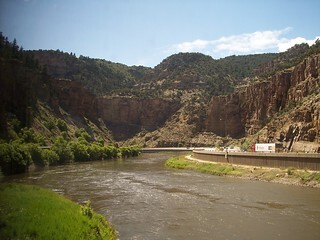 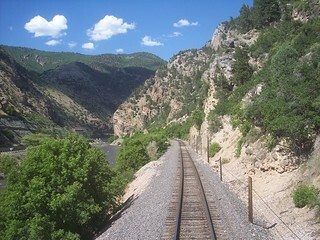 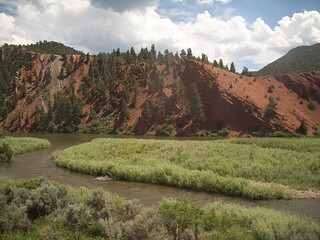 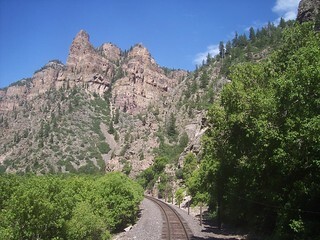 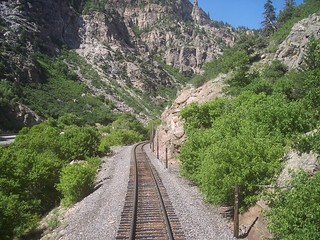 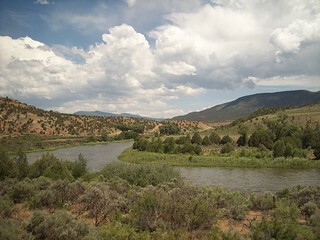 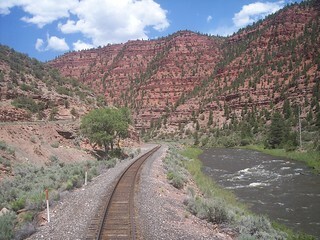 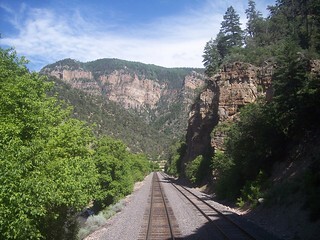 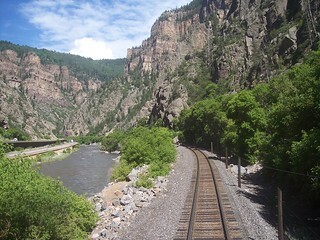 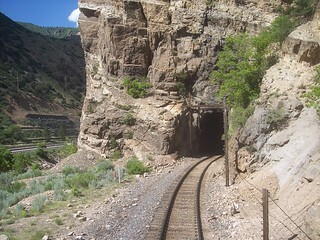 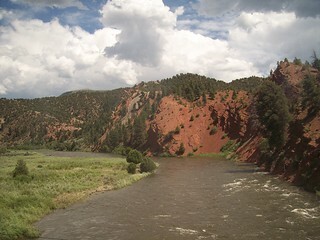 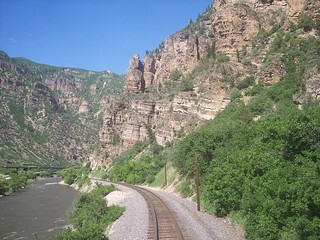 Heading through Glenwood Canyon after leaving Glenwood Springs. 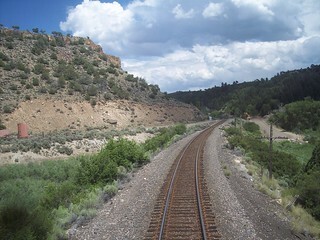 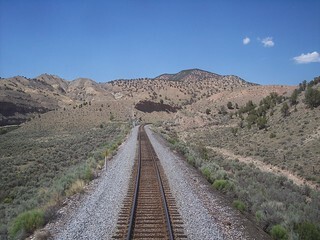 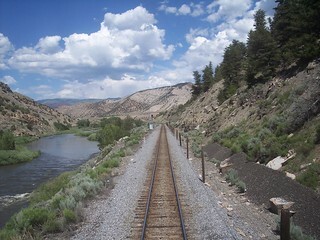 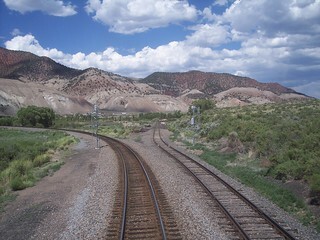 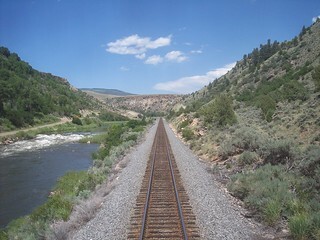 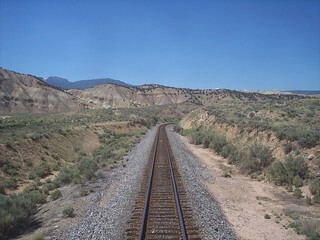 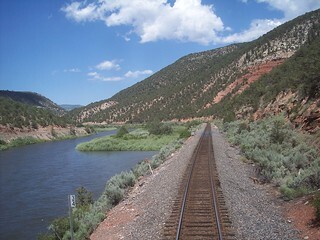 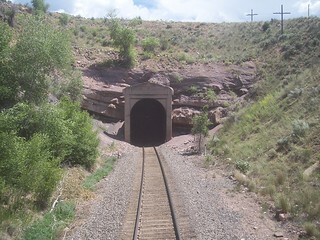 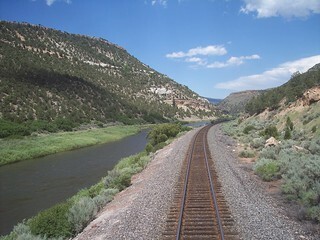 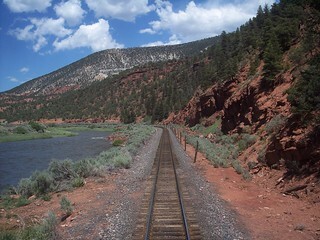 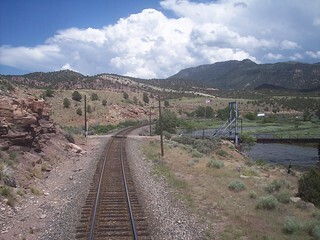 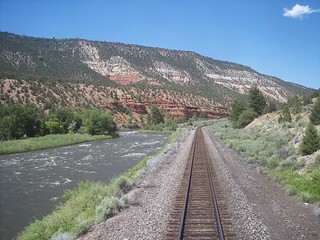 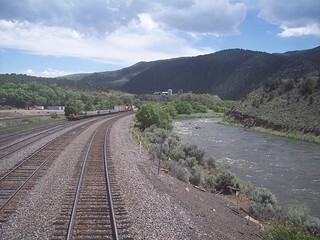 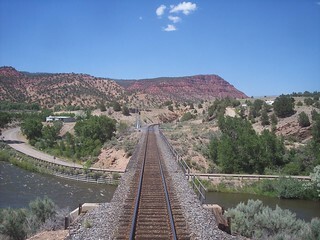 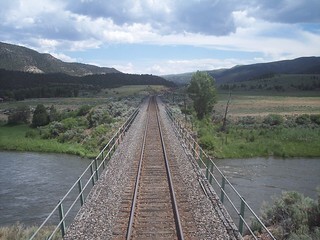 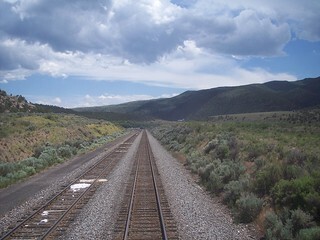 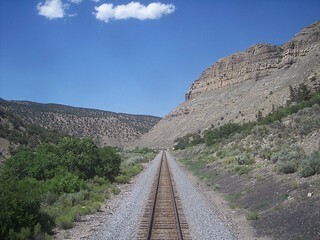 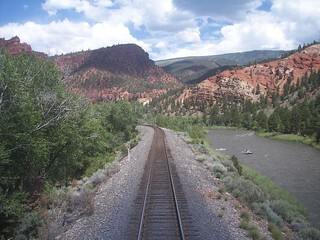 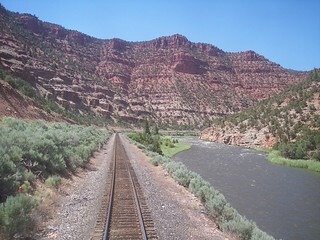 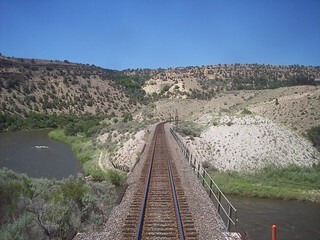 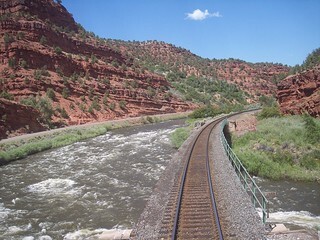 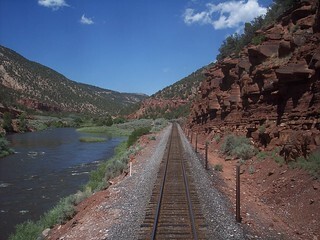 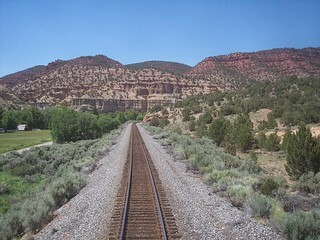 The lines diverge at Dotsero where we continue along the Colorado River to the north while the tracks to the right follow the Eagle River. 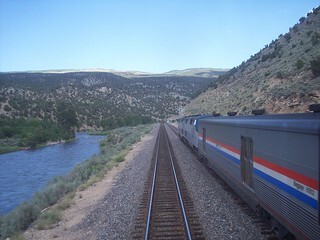 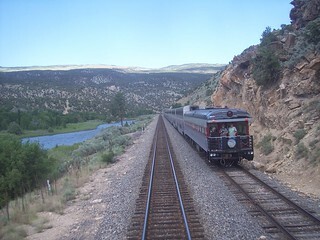 Passing the eastbound California Zephyr with a private observation car taking up the rear.